I am obsessed with Alice.com. It's gotten some press lately for good reason. You order things like toilet paper, shampoo, and dishwasher detergent online and get them shipped to you for free. 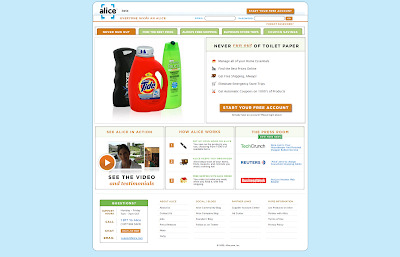 Somebody called Alice.com "the Netflix of consumer packaged goods" (though I assume Alice.com does not actually want you to mail them back your used deoderant).